Charlie is about to die. His wife is playing prison guard, stopping visitors. She wants to score him a christian grave. But Charlie would prefer a drink. It it is time for blunt honesty — which means more battles with his wife, insulting the kids, and making sure his funeral involves the ocean. One of the last things legendary playwright Bruce Mason wrote before his death in 1982, Do Not Go Gentle also offers a rare central role for veteran Bill Johnson, fresh from playing villain in Under the Mountain. Late children’s TV talent Huntly Eliott cameos as the priest. Weddings - Happily ever after? Presented by Jayne Kiely, this series catches up with couples from earlier reality series Weddings (1999), to see what married life has delivered. This episode revisits Barbara and Stu, who decided he wanted to cross-dress for the wedding; Christian couple Michael and Fiona, who believed in abstinence until marriage; and Chris and Jackie (whose mother was terminally ill). Affairs, death, the weight of reality TV stardom and nightclub ownership all provide challenges to true love. The original Weddings series (also presented by Kiely) followed couples on their journey to the altar. Beneath her twinset, repressed housewife Gwyneth (Mandy McMullin) is close to the edge: of attacking the dishwasher, and giving in to lust (thanks to neighbour Kevin Smith). Especially after learning the husband has done the dirty on her. Based on a Fiona Farrell story, Mon Desir blends fantasy, satire and domestic tragedy. Writer/director Nicky Marshall scratches under the fingernails of Kiwi small towns, to reveal “what happens behind the facade of wholesome goodness and normality”. Mon Desir was chosen for the 'Un Certain Regard' section of the Cannes Film Festival. 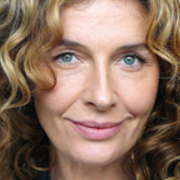 Actor Ingrid Park has played evil (as a violent psychiatrist on Shortland Street), legal (as the feisty lawyer girlfriend to Jay Laga'aia's character, on Street Legal) and quirky (helping bury the body, on dead husband series Burying Brian). Raised in Palmerston North, Park studied engineering before getting her Shortland Street break in 1998. Playing dodgy doctor Mackenzie Choat, her plotlines included adultery, a problem with prescription drugs, and blowing up the clinic. In 2009 Park began five seasons on Go Girls, playing real estate agent Fran McMann. She also appeared in TV's Agent Anna. 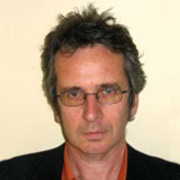 After a long tenure as a newspaper journalist, Colin Hogg moved into television where he has worked as a writer and producer mainly on documentaries and arts programmes, initially with Greenstone Pictures, and now with his own production company 3rd Party Productions. Hogg was also a regular panelist on the TV ONE advice show How's Life?. Kiwi-Samoan Robbie Magasiva was performing in a primary school talent quest when he fell in love with acting. At age 16 he made his first screen appearance, playing a police cadet in a TV commercial. 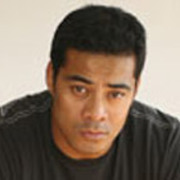 Since then Magasiva has honed his skills in television (Aussie series Wentworth, Shortland Street, The Semisis), film (Stickmen and Sione's Wedding) and stage (comedy group The Naked Samoans).